Then, I am gonna go black and see what it do. For the longest while I have been convinced that black is no good for my skin tone, but, I am willing to give it a try. LOL though, I definitely thought I’d satisfied my craving, which I have, but I can’t go to work with this shock of red I have and going to all burgundy would be best. 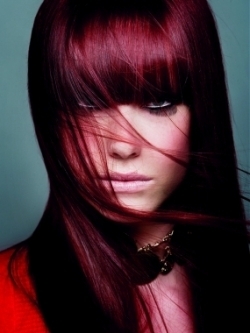 Interestingly, enough I once did a red dye that pretty much ended up that way and I loved it! Ignore your skin tone do what you want. You will look fine no matter what.